There are only three beauty products I can’t live without in my present life. I have no clue yet about whether this list will change to more or less in the future but for now these are - an eyebrow pencil, you know 'kilay is life', lipstick and lotion and by lotion, I mean different kinds of lotion. I was so happy when Myra finally sent all these products to me. I’m a fan of this brand, not only because they boast quality, they're also products of a Filipino trusted pharmaceutical company, Unilab, and to top it all, these products really deliver. 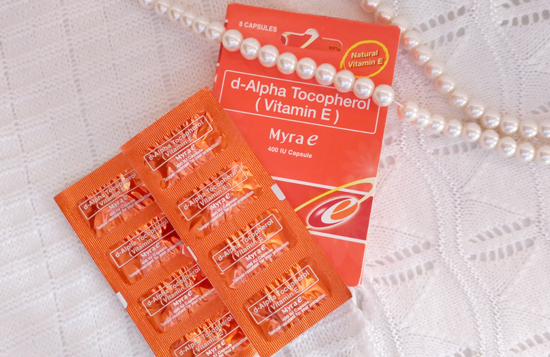 So let’s start with Myra e.
Myra e is d-Alpha Tocopherol or Vitamin E in a capsule. Vitamin E helps maintain healthy skin and eyes for youthful glow. Same Vitamins also protect you against atherosclerosis and cardiovascular disorders. They also help improve nerve functions and help prevent onset of neuromuscular degenerative diseases. In simple terms, Myra e is a beauty vitamin. At P8/capsule, they’re not badly priced knowing what 400IU capsules can do with our body. Myra e also guarantees that their products are all natural and non-synthetic. They’re very accessible as it can be bought over the counter and they’re available in practically all pharmacies and health shops nationwide. It took me quiet a while to write this post as I was trying 'the feel' all of the three variants sent to me. First on the list is Myra VitaFirm. It’s a firming hand and body lotion with Vitamin E beads and Algae extract. Well, I think I need to empty this bottle first to know whether it really claim the first promise –that it firms the skin. But one thing I know and I’m certain, it really smoothens skin. Love also that it has a non-greasy and light formulation and it resembles a clean and fresh scent. 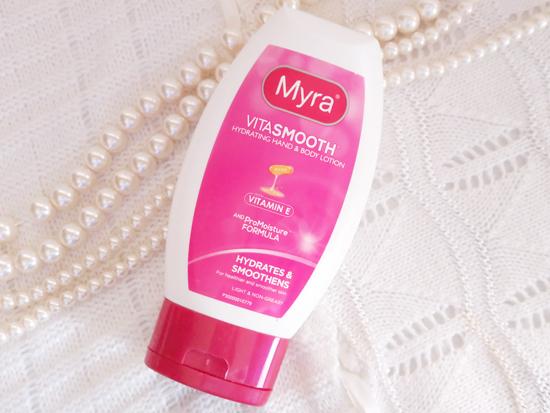 Second on the list is Myra VitaSmooth Hydrating Hand and Body Lotion with Vitamin E soft beads and ProMoisture Formula. It has noticeably sweet and romantic scent, I like it. With days of use, I’d say, it delivered the promise - Hydrates and smoothens skin. 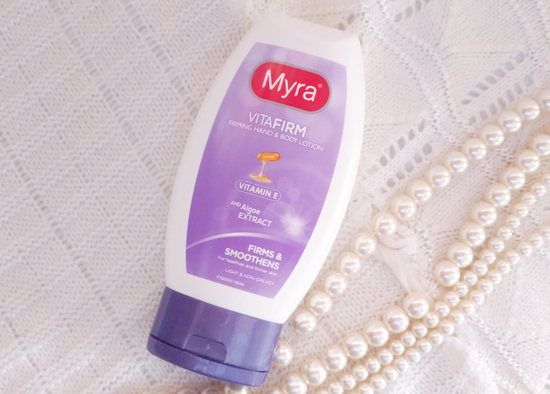 Just like VitaFirm, this too boasts light and non-greasy formula. 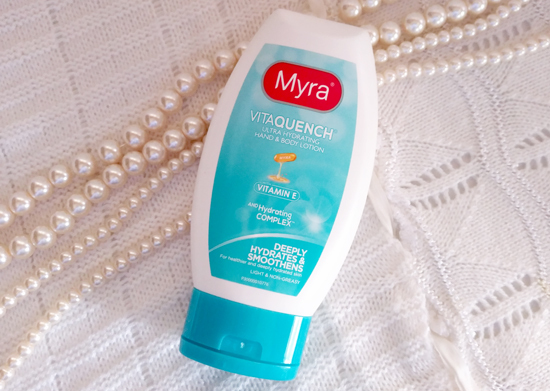 Third on the list is VitaQuench, Ultra Hydrating Hand and Body Lotion with Vitamin E and Hydrating Complex. It promised to deeply hydrates and smoothens skin and this what tick the whole time I was using it. I so love the scent of this variant too, ‘pangmayaman’ hahaha! I made a thorough write-up of this duo on this page, MYRA FACIAL WASH: FOR A BEAUTIFUL YOU INSIDE AND OUT. T’was posted months ago and until now the VitaSmooth variant is still part of my grocery list everytime we're out of supply. The pearly white formulation of these products is a real deal when it comes to facial washes. I truly love it! 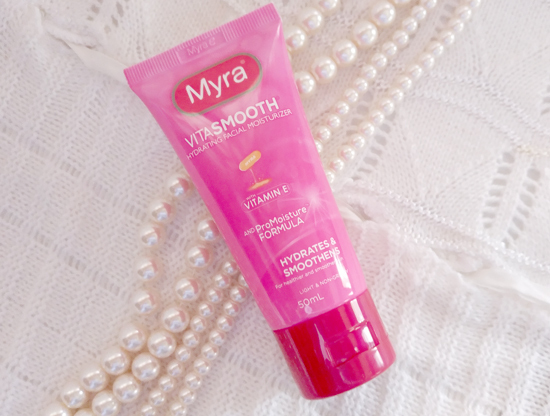 Last but not least, the Myra VitaSmooth Hydrating Facial Moisturizer. Truth be told, I’m more of a facial serum woman. But since this came for me to try, I did my assignment in trying this out for a week. First off, I love the mildest scent of fresh day on this one. You really need to try it for some time to consider the difference, it worked quiet well for me. But I just thought that the formula should be improved to a featherlike feel on the skin. I love moisturizers that are as light as the water, hence, my proposition. Nonetheless, my whole MYRA Skin Care experience was pleasant and vitally beautiful. Thank you so much Unilab for the trust. 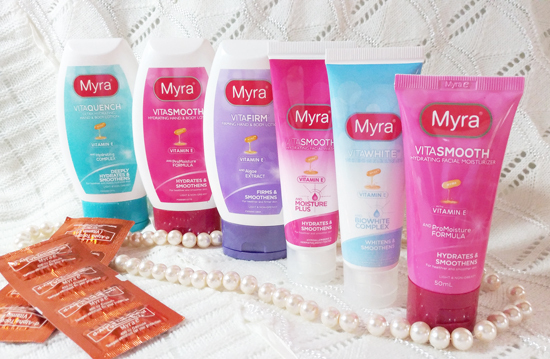 Myra Skin Care line is a trusted quality product of United Laboratories. Disclaimer: I wasn’t compensated to do this article but was given the products to try.